Today I scored two skeins of Wollmeise yarn…that beautiful sock yarn that is so coveted and so hard to obtain! How did I do it? Let me share my secret….sshhh! I had, in the past, been able to buy a skein from The Loopy Ewe (online) by keeping an eye on their Tweets. It pretty much was just luck that I noticed their Tweet while in the carpool line about a year ago. But…here’s my just discovered secret…. 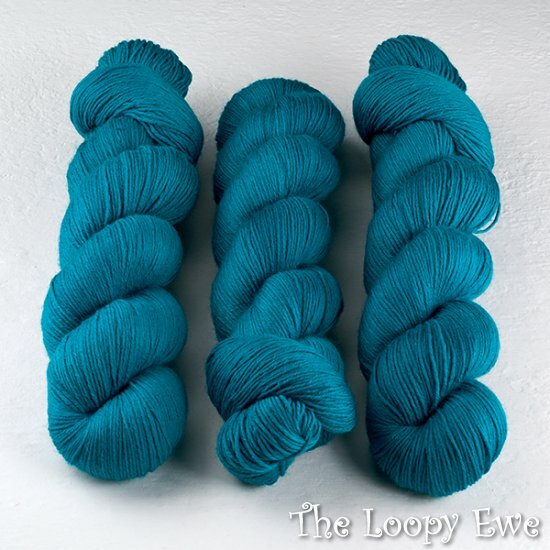 I got to The Loopy Ewe website on my phone and found my way over to Wollmeise 80/20 Sock Yarn. What I noticed on my past attempt to buy Wollmeise from TLE is that it literally goes in front of your eyes!! It is crazy, crazy, crazy! (That really is half the fun…finding out what you actually manage to get!) I’d put a skein in my cart and by the time I was checking out, it was gone, literally gone, from my cart! You just hope you can get through the checkout process with something in hand. But I think I caught some pretty colors: Nazar Boncugu and Turkise Markise. So, keep track of Sheri’s Blog and The Loopy Ewe Tweets for Wollmeise announcements and, hopefully, you will be somewhere that you can join in all the Wollmeise Craziness!! Good Luck!